TG222: Randy Rhoads & Ozzy Osbourne – Guitars! Glory! Tragedy! 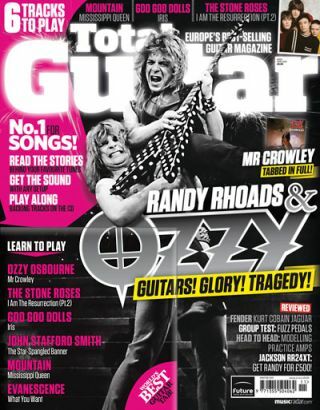 Total Guitar issue 222 is on sale now and this time we're paying tribute to the late, great Randy Rhoads and his time with Ozzy Osbourne, including a full tab of 'Mr Crowley'. Over 20 pages of gear news, reviews and advice. Plus! Accessories, a First Look: Mesa/Boogie Mini Rectifier, Ed's Shed: What to look for when buying guitars.